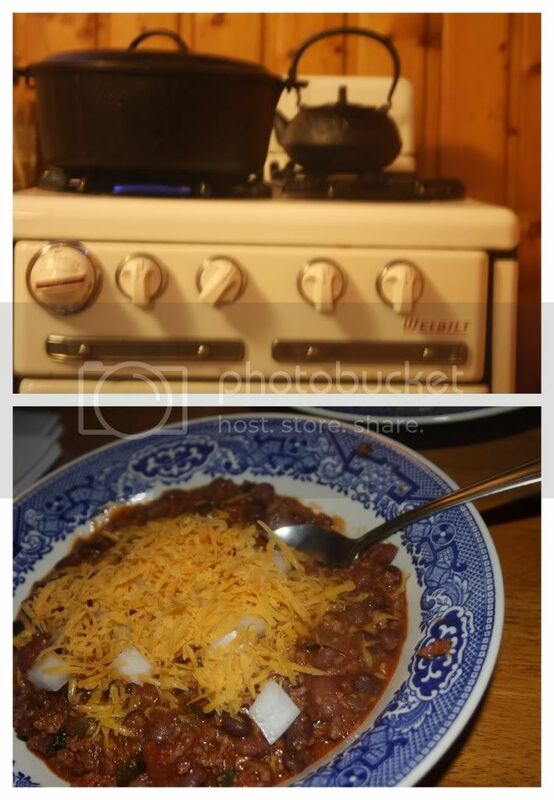 To begin, I just got a cast iron kettle and it just makes chili seem that much more delicious, amazing and perfect for the cold winter night. Next, let me tell you that doing a combo chili which is 50% Beef and 50% Chorizo is brilliant! Now, on to some tricks-of-the-trade. If you have an abundance of peppers, go ahead and roast the whole batch in the oven until they're fragrant, run them through a food processor or a juicer with mincing capabilities, throw them in an ice cube tray and then into the freezer for future use in soups, sauces and of course chili! Run fresh tomatoes through a mincing juicer or food processor rather than throwing in canned tomatoes, fresher and ultimately a bit healthier (tomatoes in cans can have dangerous interactions with the aluminum considering the acidity of tomatoes). And finally, our personal preference when it comes to eating a bowl of chili is to add raw onions, cheese and corn chips.